← Here’s What I Got From the ARIA Kickstarter! What I’ll Be Watching This Fall 2018 Simulcast Season! Greetings all! With the first days of October under our belt, fall is officially here! I realize I never did one of those Summer 2018 recaps . . . I’ll get around to it once I actually finish them . . . maybe. Anyway, I’m super pumped for this fall season. Couple of long-awaited “season threes” to go around, plus some neat new stuff from KyoAni, Production I.G, and even Trigger. Let’s see what I’ll be watching this fall 2018 simulcast season! First for returning shows of the summer season is everyone’s favorite Yuri!!! On ICE-meets-gang-warfare-and-mafia-conspiracies smash hit shoujo BL series (you’re tackling a lot of ground there, BF). 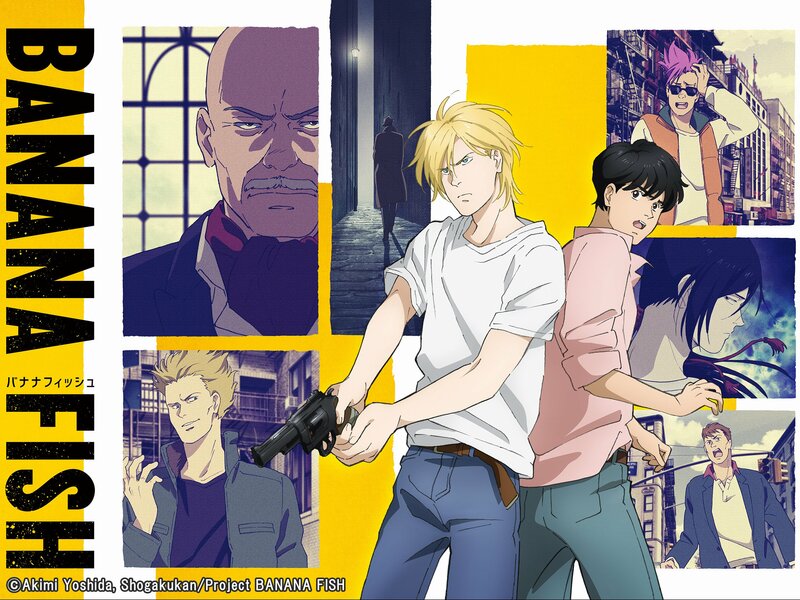 Banana Fish had me at the beginning, but admittedly not as much now. I think it’s become one of those things where the show’s visual aesthetic (the 1980s art style with Mappa’s lightly drawn character designs and the intricate backgrounds) is better than the actual plot. Every single episode ends with a cliffhanger, so that’s definitely a factor that keeps drawing me back, but the characters are the best part of this beloved title for sure. I have a feeling that Ash Lynx’s path will start to grow plenty darker, and as his mental state teeters on the edge of becoming a real beast, I do hope Eiji will be there to keep him from committing an irreversible sin. Wow, wow, wow, where to begin with this one? The second of two returning summer titles, AoT 3 certainly put the franchise back on the map. 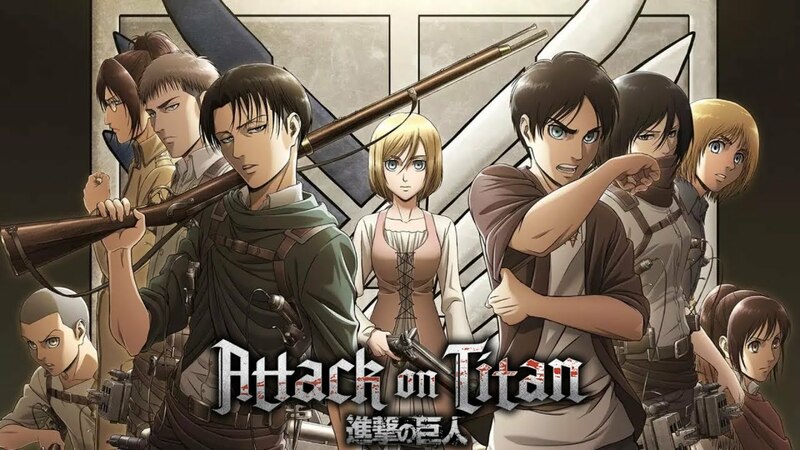 Things are getting revealed, characters from the shadows are making their move, and Eren is growing more and more into an understandable character at the behest of Levi and Historia’s suffering (and their eventually overcoming the demons from their pasts). People and themes are starting to better connect, and as humanity careens on the its own self-destruction, everything is coming to light. It’s incredible how this franchise can transition from straight shounen action in the first season to this horror, murder mystery that is the second, and now a political drama AND STILL maintain my interest and fascination with the world and its characters. Each season has its own unique tone (the second still being my favorite, as unpopular as my opinion is), yet they are all equally–and unmistakably–Attack on Titan. I’m ALWAYS looking forward to more, and I hear the next developments are particularly epic. Now to the new stuff . . . I know literally nothing about this series. I guess it’s based on a French shounen manga, which is cool. But the main reason I’ll be trying to follow it is because Lerche is behind the project, and y’all know I love that studio. Not sure if I’ll end up following it, but I put it here anyway just to try out the waters. Aww yeah, now THIS one I’m excited for. It’s #archeryboys, and I can’t wait for Kyoto Animation to bring this school sports/drama series to life! I love the soft green, brown, and white color palette the advertising department has been working with. Having thoroughly enjoyed Free! 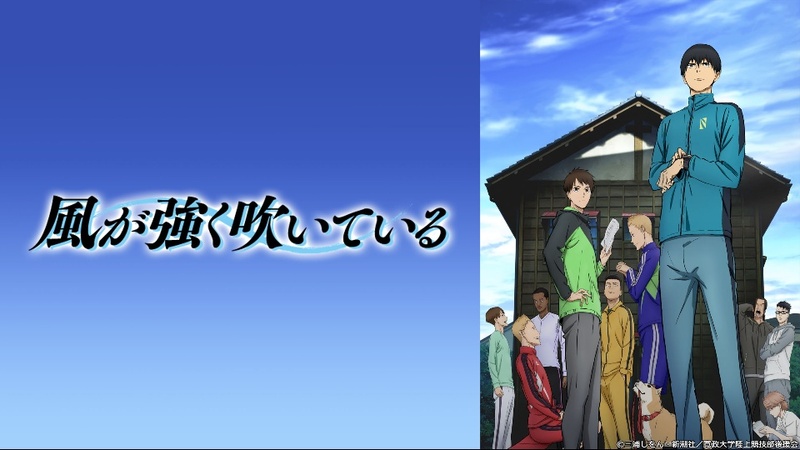 and virtually everything else that KyoAni has produced in the past, I’m absolutely ready to cheer on this high school archery club as they aim for the prefectural tournament. More sports drama, woohoo! Other than the fact that this is animated by Production I.G (who brought us Haikyuu!! and, more importantly to me, Welcome to the Ballroom), I don’t know much about this series. The characters look cool, but apparently they’re all just a bunch of university novices trying to run in the some big famous marathon in Japan. WAIT, is that UNISON SQUARE GARDEN doin’ the OP? Strap me along for the ride, cause I’m sure it’ll be a fun one! Hahaha, another one that I know nothing about. But it’s GRIDMAN—IT’S HYPE, RIGHT!?! I guess this one already has mixed reviews since the first episode came out, but regardless of whether they’re “good” or not, I support Trigger’s original projects 100%. Kiznaiver was alright. Darling in the Franxx wasn’t so hot. 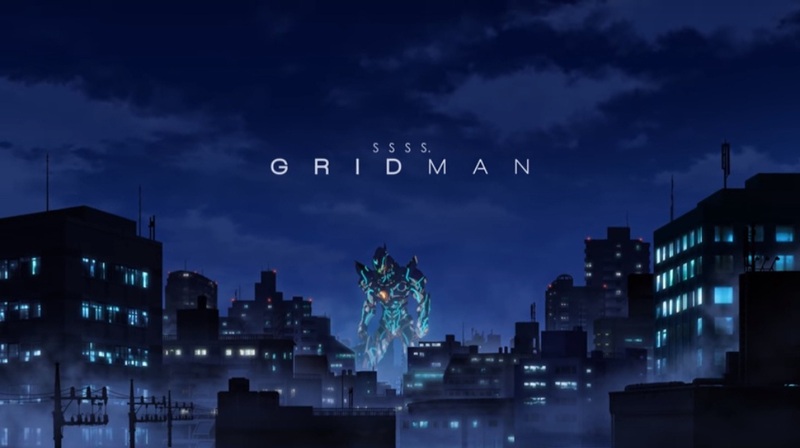 So let’s wait and see how Gridman turns out and hopefully this sci-fi mecha series will win more hearts than turn minds away. Oh and did you guys hear Funimation’s dub trailer yet? Greg Ayres, Lindsay Seidel, AND Barry Yandell on board? HECK yeah, sign me up! Get the hate out of your system. All of it. Keep going, I’ll wait. Is it gone yet? Alrighty, it’s SAO S3, and I’m hella pumped. The past couple weeks I’ve been catching up on the light novels in anticipation for what is supposedly the franchise’s best arc yet–and trust me, I believe it. In 2015 I read books 1-4, or what we know as the first season’s Aincrad and Fairy Dance arcs; in 2016 I read 5, the first half of Phantom Bullet; and just recently, I picked up books 6-14 minus 8 (yes, that is a lot of books and money). Whenever I have free time between classes and studies, I’d immerse myself in Reki Kawahara’s virtual worlds, enjoying every second of leisurely reading. I first read 9 to get a preview into this next arc, then went back to 6 to truly finish Phantom Bullet, and lastly took an emotional pit-stop at 7’s Mother’s Rosario to bridge the storytelling gap. With practically all of SAO in both anime and novel form under my belt (save for the Ordinal Scale film), I’m excited to venture on with my homework in volumes 10-14, as well as follow the anime side-by-side. The promos seem promising and the advertised character designs are simply beautiful. 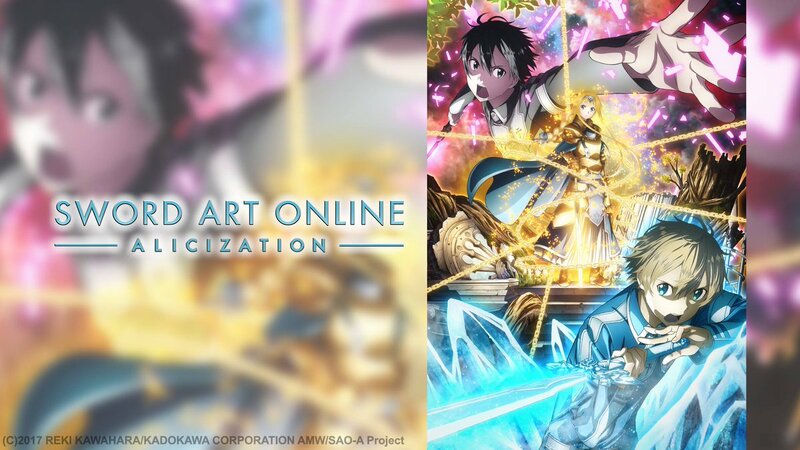 In other words, Alicization, here I come! 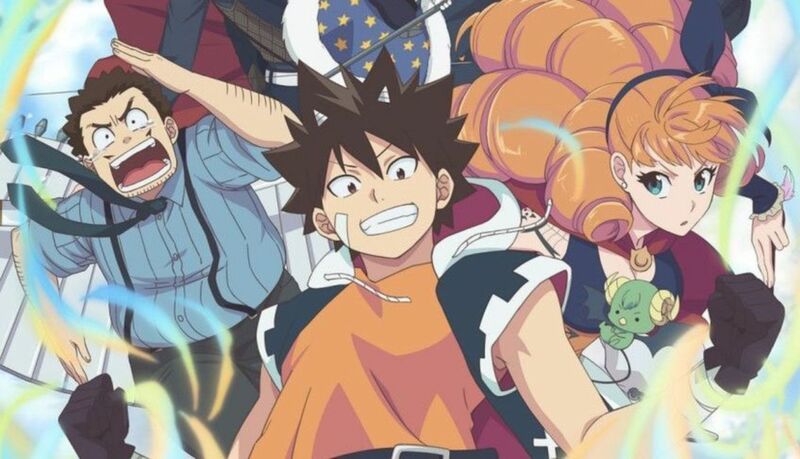 And last but not least, my most anticipated title in the line-up is the loooooong-awaited continuation of one of the big franchises that pushed my journey along as a young anime fan, arguably becoming my favorite series for the longest time. FINALLY, we’ve got the third season of Index, and although it’s not Railgun (the true best), I’ve been waiting to find out what happened after the climactic events of the second season since what, like 2013—has it really been that long!? Anyway, I don’t have much else to say other than I’m absolutely, positively thrilled to be back in Academy City, a place where science and magic clash, and there’s never a dull moment! I’m pretty excited about the sports anime selection and I’m super hyped about Index. I may need to do a rewatch to refresh. Right? It’ll be back-to-back high intensity, and I can’t wait. I was planning to rewatch both seasons of Index as well as both of Railgun’s, but time got ahead of me and now it looks like I’ll be winging it, ahaha! I KNOW you do, and that’s awesome. If it weren’t for Index rekindling my love of anime from when I started, I totally would be looking forward to SAO the most. Anymore than 4-5 is hard to juggle, I agree! But there’s just so many options, and I want them ALL. Alrighty, until tomorrow passes, LINK START!! I just watched it last weekend. Soooo gooood!! I’m really excited for more SAO. Hopefully it delivers because a lot of people have been hyping up this next arc. Mostly though I’m just happy to revisit SAO. I have high hopes for SAO as well. For sure, it’ll be better than the previous seasons, but who knows if it’ll be great enough to lift the franchise up enough. Can’t wait to log back into the virtual world! I found out yesterday that Run with the Wind has writing talent affiliation with The Great Passage. That has me really excited for that. SAO of course. Past that, haven’t fully settled on anything. I’m not familiar with The Great Passage, but I know it’s a classic in something (literature?). Anyway, great, another reason to watch it! I’m sure something else will be screaming your name sometime throughout the season, and whatever that may end up being, I hope we can talk about it together. I too am looking forward to catching up on AOT. You are not the first person to mention that the upcoming season of SAO is supposed to have a good story. That’s great, as I liked the past seasons. You’ve still not watched the latest AoT episodes?? Oh, Judge, how I envy your position—I wished I didn’t consume this show in such a rush so that I’d be able to enjoy it more now! At least April 2019 isn’t too far away for the second cour of S3. And I like your positive thinking there with SAO. For the most part I’ve enjoyed all of the arcs for one thing or another, and the constant hounding that this part of the franchise is particularly noteworthy has me excited to see how everything will unfold. I’ve heard surprisingly great things about that series, both from the first few episodes of the anime and the light novel series. Maybe I’ll have to pick it up once it finishes airing! I was most excited about A Certain Magical Index III-this series has always entertained me to a great degree. It’s really cool to talk with another Index fan! Hopefully this third season will deliver a resounding follow-up to the second season’s epic ending.